Teachers Day Lolly Mix… by LollyTalk! Free label for the first 500 pre-orders! 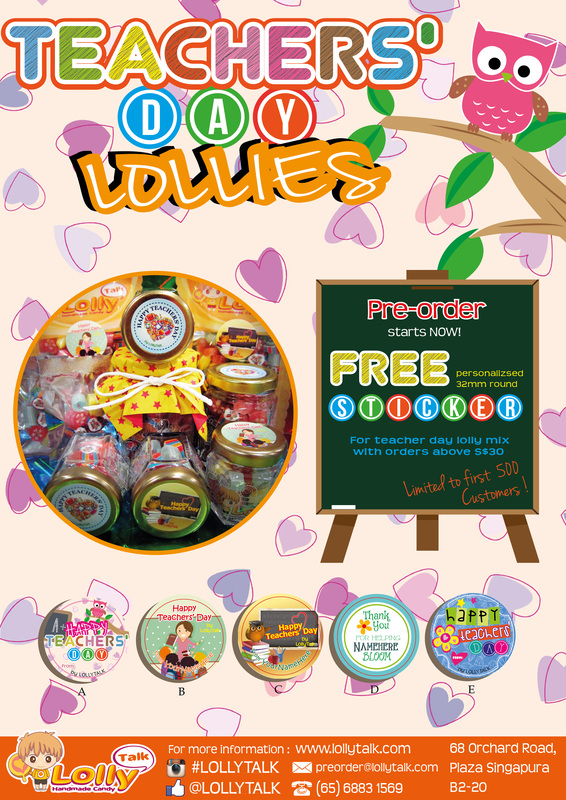 LollyTalk’s Teachers’ Day Lolly Mix comes in various sizes and various packagings…. Each Teachers’ Day Lolly Mix comes with up to 6 design/flavours. The design in the mix might varies. Some of the design might be limited edition, and will be changed with new addition to the mix, and older design might be replaced and not repeated.